I took a drive the other day in Queen Creek and decided to check out some neighborhoods that I hadn’t been to in a while. As I was heading South on Ellsworth towards San Tan Valley, I hung a quick left and drove down my favorite area in Queen Creek...Old Ellsworth Road. This area is worth checking out to see the improvements they've made. I'll be writing more specifically about these changes in upcoming articles. 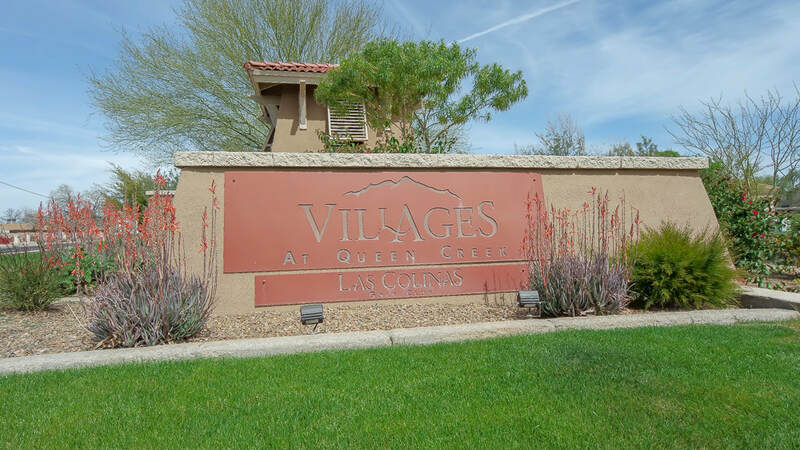 For now, let's take a drive through The Villages at Queen Creek, which you will find on the South end of Old Ellsworth Road. At this entrance, you'll find a divided two-lane road for about a quarter mile until it opens up and takes you to a couple of round-a-bouts heading all the way to East Rittenhouse Road regardless of your choice at the round-a-bout. As I drove down East Village Loop S (I took a right at the round-a-bout), I saw what feels like a cozy neighborhood well taken care of by both the HOA (Home Owners Association) and its residents. I drove past the school (Frances Brandon Pickett Elementary), several greenbelts, parks and playgrounds, and a glimpse at a seemingly happy golfer. The Las Colinas Golf Course is nestled inside this adorable neighborhood and offers a community pool and restaurant at the clubhouse. My overall impression was positive as I looped through the neighborhood, leaving the same way I entered. I like the location, the family-friendly vibe, the golf course, and the fresh local businesses located in the complex just off Old Ellsworth Road. I have frequented the Bistro many times over the years and remain a big fan. If you search The Bistro in Queen Creek within this site, you'll find a few articles our contributors have written to help back me up.